And they brought the colt to Jesus and threw their cloaks on it, and he sat on it. And many nspread their cloaks on the road, and others spread leafy branches that they had cut from the fields. 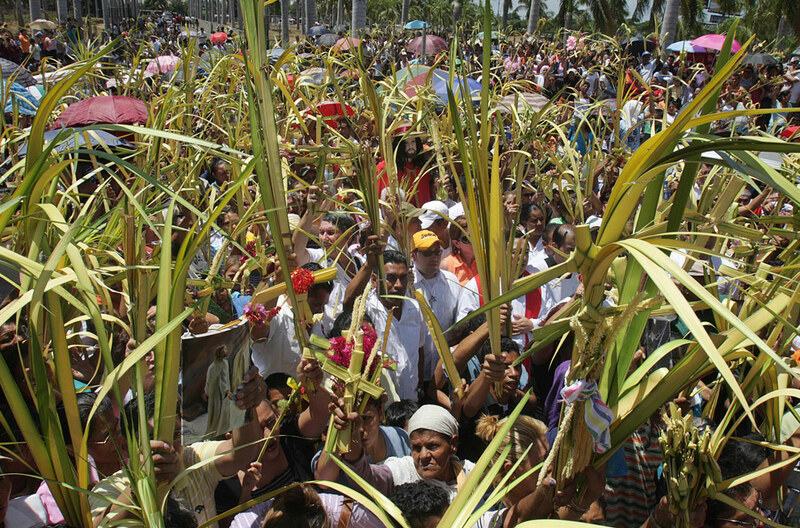 Palm Sunday reminds us that there is no life without dying to self, there is no victory without a cost, and there is no salvation without a savior. The Cross is death, but through our sinless Savior, life is released. Life that is forgiveness of all our sin, healing of our broken hearts and ravaged souls, freedom from our self-inflicted wounds, and restoration of our broken relationship with God the Father. The Cross is the tree of life for every believer. There was a time, and it is still not entirely over, when Christianity was rejected precisely because of the Cross. The Cross talked about sacrifice, it was said, the Cross is a sign of denial of life. Palm Sunday, however, tells us that the truly great ‘Yes’ is precisely the Cross, that the Cross is the true tree of life. We are not alive to become masters of life, but to give it. Love is a giving of self, and this is why it is the way of true life, symbolized by the Cross. 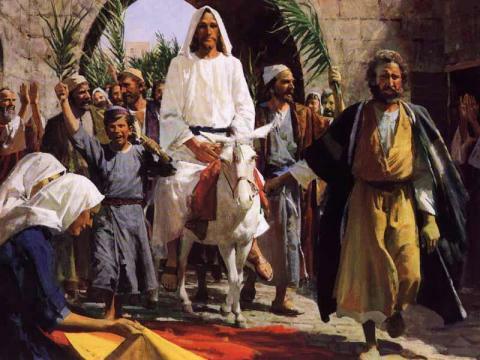 This entry was posted in Palm Sunday, The Cross and tagged Palm Sunday, Pope Benedict XVI, The Cross, Triumphal Entry on March 29, 2012 by GlennDavis.